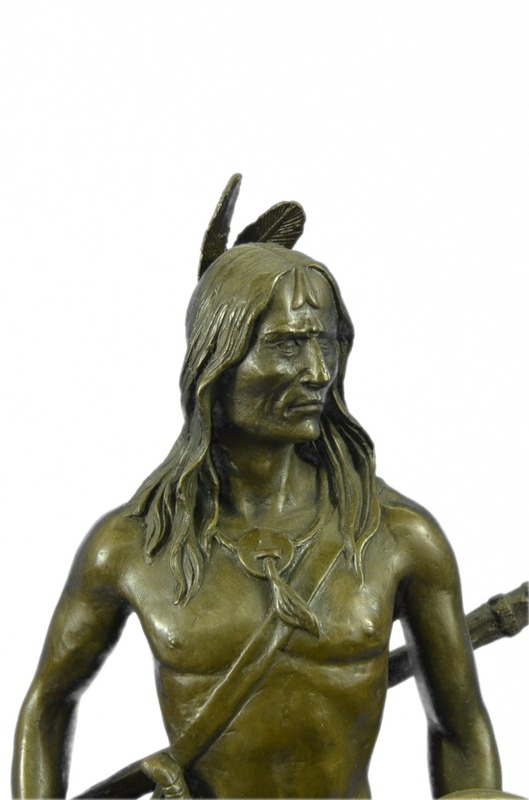 The Native American Indian Chief Stands Under A Furrowed Brow With Grave Eyes. 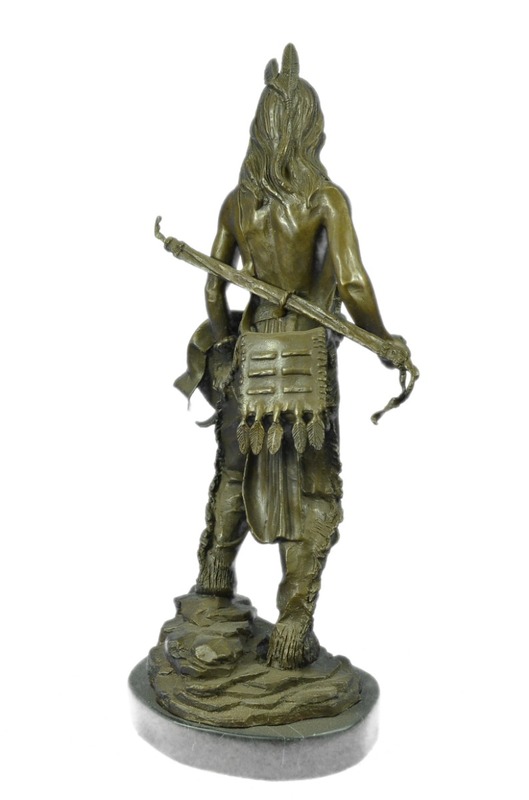 In A Silent Prayer, He Asks The Great Spirit To Protect And Give Victory To Their Tribe Against Their Adversaries. 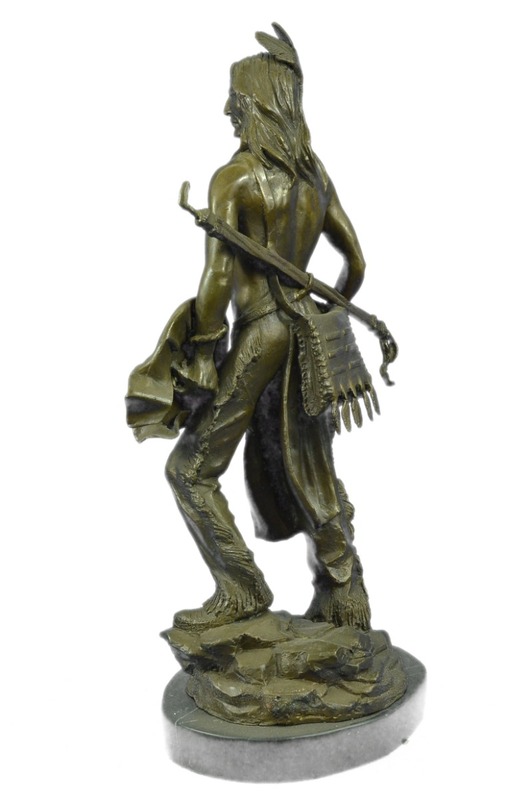 He Sports The Typical Regalia Of Buckskin, Tasseled Leggings With Moccasins. 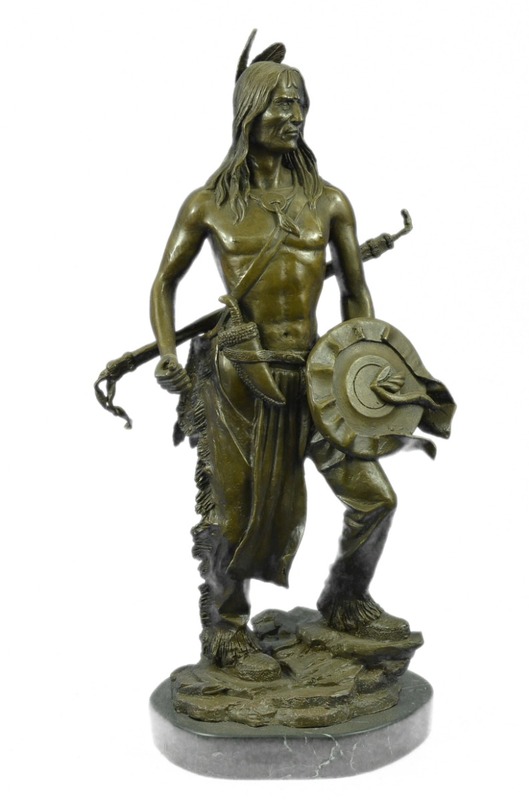 He Carries In His Arms Both A Hatchet And A Shield In Defense Of Peace For His Tribe. 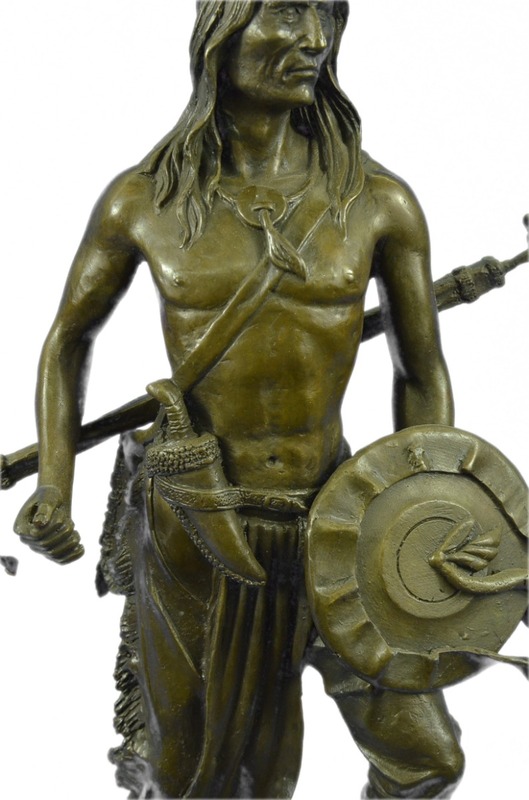 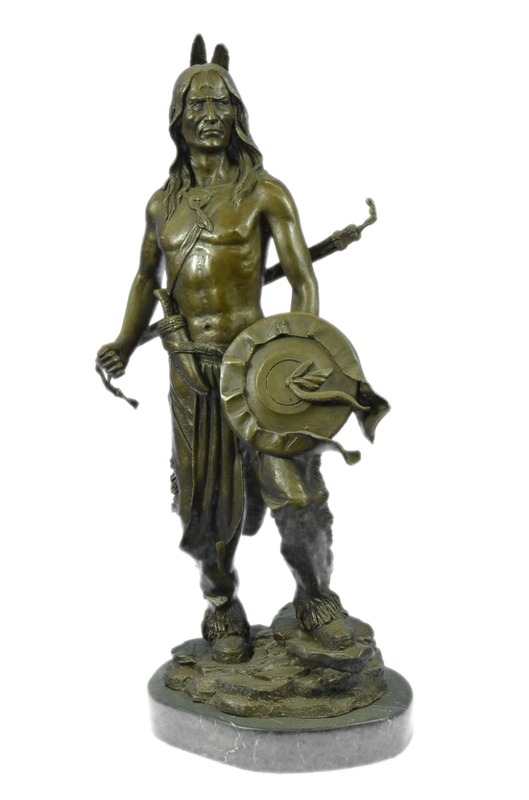 He Was Captured Using The Ancient Method Of Lost-Wax Casting And Stained With A Brown Patina Finish. 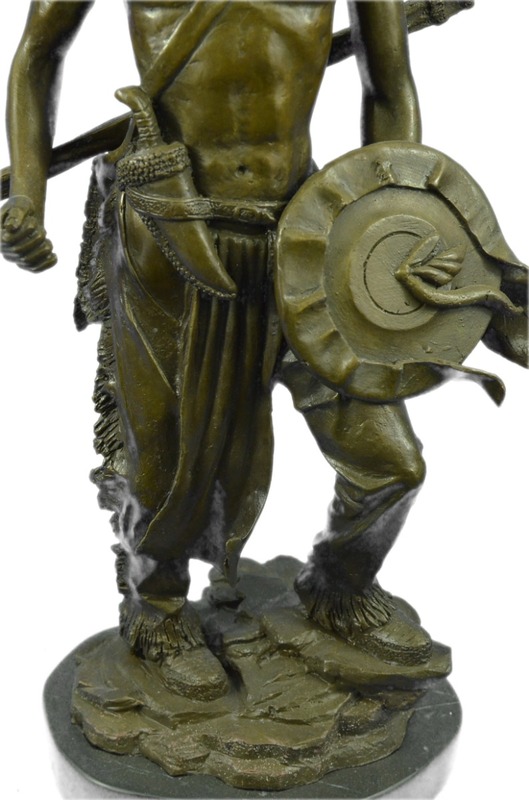 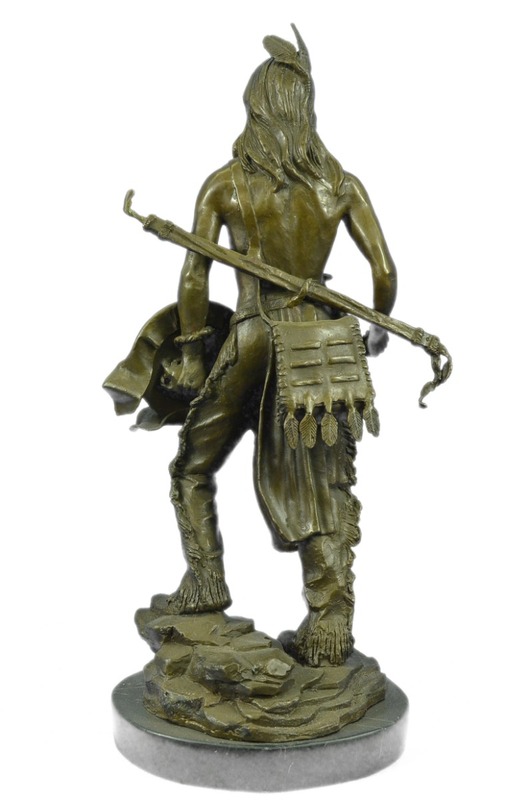 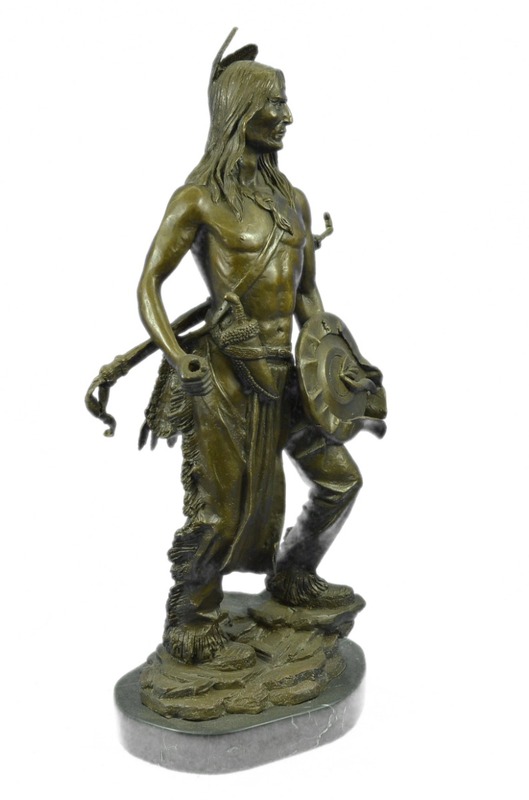 The Chief Is Mounted Upon A Black Marble Base With The European Bronze Finery Stamp And The Artist J.Debut'S Signature.